Tenants filing for bankruptcy is less of an issue for residential landlords, but an increasingly frustrating problem for commercial landlords as we get further into 2018. 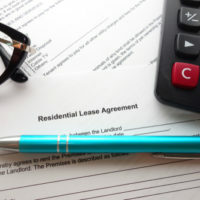 As a result, it is important—now more than ever—that commercial landlords know what their rights are when it comes to how tenant bankruptcy affects lease agreements. First and foremost, it is crucial to understand that, once a tenant files for bankruptcy, landlords and other parties are prohibited from taking any action against the tenant (i.e. debtor) unless it is first approved by the bankruptcy court. However, if a tenant is in default prior to filing for bankruptcy, and the landlord takes every step required under state law to terminate the lease before they file, the lease is then not subject to the tenant’s bankruptcy case. This is because it is the act of the tenant filing for bankruptcy that imposes an automatic stay against any actions by landlords and other parties (where actions are any activities involving collecting, demanding, or otherwise seeking to recover amounts due). This is why it is wise to work with a landlord-tenant attorney as soon as a tenant/debtor falls behind on rent payments. While tenants are required to pay for any and all rent that accrues after the bankruptcy filing (in a timely manner), rent that accrued prior to filing is what’s known as an “unsecured claim”: it might not be paid until much later in the bankruptcy, if at all. If/once the tenant falls behind on any post-filing rent, the landlord can file a motion seeking permission to pursue default and eviction. Perhaps most importantly, when it comes to commercial landlords and tenants and bankruptcy filings, tenants will sometimes file in order to take advantage of their subsequent right to reassign the lease to a third party. This can be of concern to many commercial landlords, as they could then end up with a tenant that they did not choose. Why would a tenant want to assume a lease, and how would they go about doing so? Typically a tenant business will do so if it wants to stay on the property/in the building structure itself, especially if the lease is below-market and a third party can pay out the debtor’s estate as a lease assignee. However, in order for a tenant to do this, it must first cure any and all defaults that exist at the time of assignment (this includes both before and after filing for bankruptcy) and obtain court approval for the assignment. At this time, landlords are allowed to raise objections to the assignment (in case, for example, if the proposed assignee does not fit in the makeup of the existing tenants/structure). The tenant also first has to demonstrate that the assignment will be able to perform under the lease. 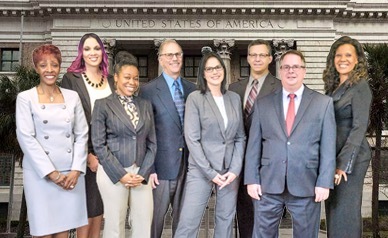 HD Law Partners prides itself on representing all Florida landlords in disputes, with a particular expertise in commercial and homeowners associations. With over 40 years combined experience, we can provide that guidance that you need. Contact us today to find out more.